During the festive period, creating, and then maintaining, a sustainable living space can often be forgotten about amongst the festive cheer. Shopping for new items or those that aren’t eco-friendly might feel easier. Yet, in the long term, it not only has a harmful effect on our planet, but also makes a larger dent in our finances at this expensive time of year. So how about saving money and reducing your impact on the environment by implementing these easy eco-friendly Christmas tips? Christmas isn’t complete without the tree. Real firs are the eco-friendlier option, and you can ensure yours has been sustainably sourced by checking that it holds the Forest Stewardship Council (FSC) certification. You can continue your eco-friendliness by then disposing of your tree via your council recycling scheme. Better yet, why not use it in place of your regular firewood, make compost for your garden out of the pine needles or if you’ve space, plant it ready for next year! If a real tree isn’t viable, you can still reduce your carbon footprint by purchasing a fake tree which has longevity. It may cost more initially, but you won’t have to replace it any time soon. Rather than purchasing new decorations each year, you can opt for ones that have long-lasting qualities. 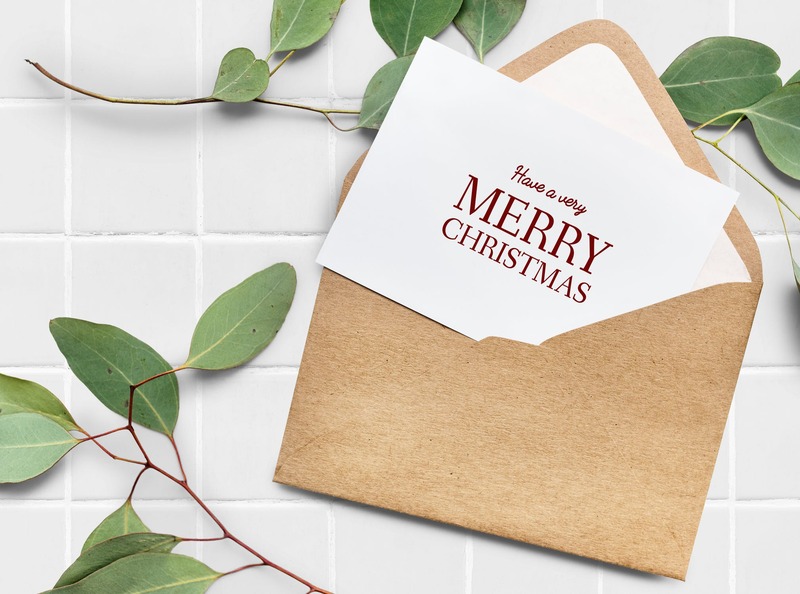 Forget those made from paper, plastic and PVC, which can’t be recycled – choose decorations crafted from recyclable wood, fabric and glass that will stand the test of time. 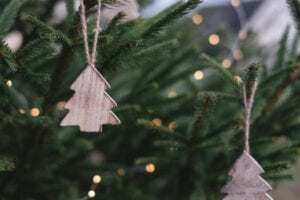 There’s nothing quite as festive as a Christmas tree illuminated with twinkling lights on a cold winter’s evening, but their energy usage is significant. A way around this is to switch to LEDs. These consume 75% less energy than the standard incandescent light bulbs, and can also survive up to 25 times longer. There will be no variance in the brightness, but the difference to your energy consumption will be phenomenal. You’ll not only be able to be environmentally friendly, but also make savings in the typically expensive festive season. It can feel much easier to be planet-friendly during Christmas in your own home than when you’re buying for others. The desire to impress can cause us to instead purchase unsustainable options. There are ways around this. With friends, you could suggest a Secret Santa, which will make for carefully considered present choices and will cut down on the amount of gift-giving (and gift-wrap) There are also plenty of ethical and sustainable presents available. These include natural soy candles, reusable water bottles, bedding made from organic cotton and second-hand items from charity shops. Fair trade options are readily available now too, and generally clearly marked as such. Just don’t forget your reusable bag for when you go shopping! Perhaps you’re on the hunt for bespoke furniture for your own home to create space to accommodate all your Christmas visitors. There are many sustainable options, which can be tailored to your home. Hartleys fitted furniture is manufactured using fully sustainable resources from managed forestations. The wood burner in our factory ensures that a landfill isn’t necessary, and any unwanted old furniture is safely disposed of. The main raw material we use is MDF supplied by Egger, whose eco cycle conserves resources. To make your Christmas as eco-friendly as possible with sustainable bespoke furniture, contact the Hartleys team today on 01756 700471. If you require creative advice on making eco-friendly interior choices, you can request a design visit. You can also have a look at our fitted ranges by visiting our Yorkshire showroom.